Keeneland’s September Yearling Sale concluded Sunday with commerce described as “electric” at every level of the market during the 13-day auction, held Sept. 10-23. The bellwether sale produced gross receipts of $377,130,400, which was the fourth highest in September Sale history and approached the record heights of the mid-2000s. Average price bested last year’s record. 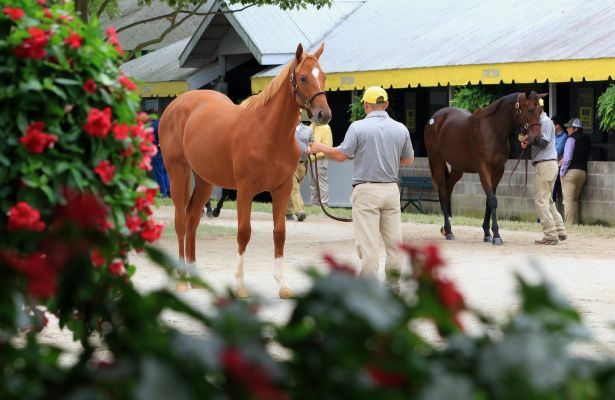 Twenty-seven horses sold for $1 million or more, including three for $2 million-plus, to be the most since 2007. The $2.4 million given by Coolmore’s M.V. Magnier for a colt by leading sire War Front is the highest price paid for a yearling in the world so far this year.